NEW PRICE REDUCTION! ** $10,000 Kitchen Allowance at Closing! 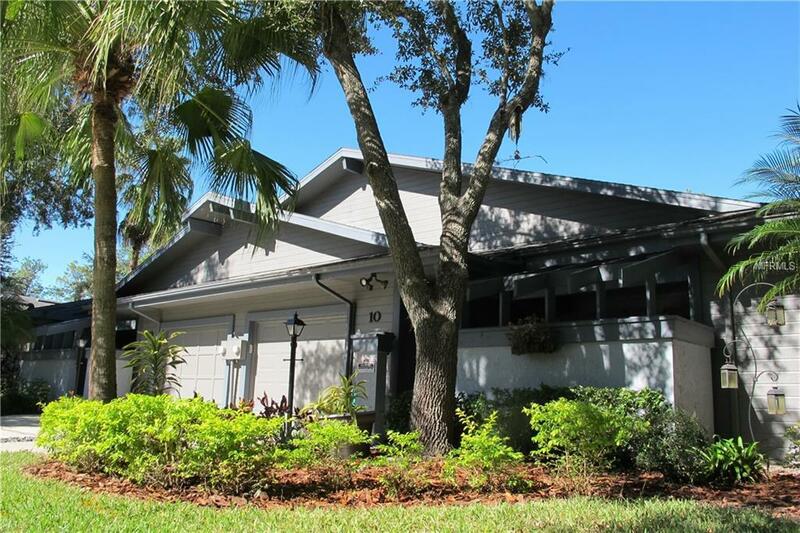 ** Beautiful, one-story, 3/2, 1 car garage, villa, extra large corner lot, cul-de-sac street in most desirable gated, golf and tennis community of East Lake Woodlands, North Pinellas county. (Look at new photos!) All newly painted, neutral colors, tiled floors throughout! The private Country Club has two, 18-hole golf courses, 15 clay courts, 2 pools, fitness center, and upscale restaurant. Is surrounded by banks, grocery stores, doctors' offices, hospital, and a diversity of restaurants with easy access to Clearwater Beach and to Tampa Bay shopping centers, restaurants, and cultural venues. Association includes pool & cabana with restrooms; exterior maintenance/repairs of building and roof replacements; lawn, trash/recycling, basic cable, and reserves. 6-months rentals are allowed. Villa is equipped with CLEAR HURRICANE SHUTTERS and Broward, home warranty covering a/c and appliances. It has closets and storage galore with 2 big, walk-in closets (master and second bedroom), coat/linen closets; 2 walk-in attics; all 3 bedrooms have California-style built-ins; great room with vaulted ceilings; kitchen with skylight, vaulted ceilings, breakfast counter, and extra big, built-in cabinet; remodeled master bath, double sink vanity, granite counter top, newly tiled walk-in shower, & security grab bars; 2nd bath has wood vanity, granite countertop. Covered patio 12 x 9 with contiguous screened-in patio 12 x 16; tiled, front porch. Additional Lease Restrictions Please Refer To Www.Pinwindselw.Com For Details And Rules. Pet Restrictions Please Refer To Www.Pinewindselw.Com For Details And Rules. Listing provided courtesy of Robles Realty.